Over 35 years of international experience in the hospitality industry in both single and multi unit management at both the 4 and 5 star level. Fairmont Pacific Rim began welcoming the world on the eve of the Vancouver 2010 Olympic Winter games and has developed a reputation for excellence with its superb services, outstanding architecture, and waterfront location adjacent to the newly constructed Vancouver Convention Centre. 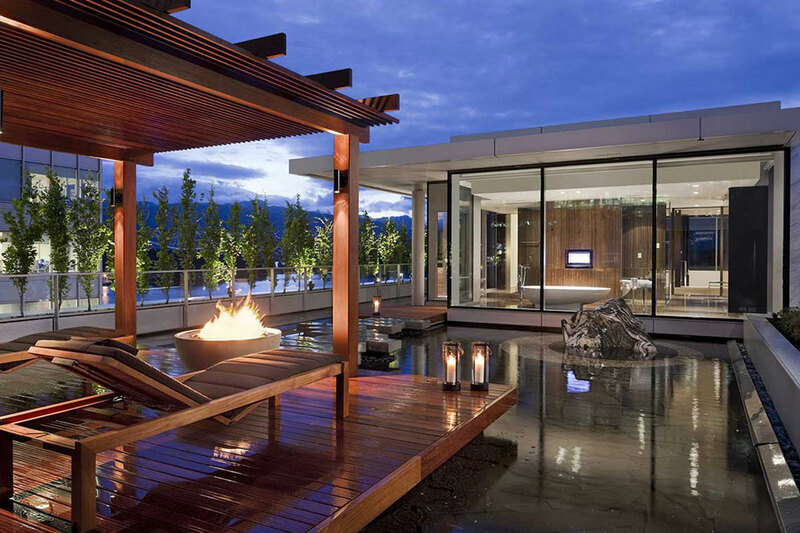 Perched on the edge of the Burrard inlet overlooking an expanse of water that extends toward the Pacific Ocean, the hotel is, in both a figurative and literal sense, a getaway property. With five-star amenities, creative design and dining offerings, rich use of polished stone and natural woods, prime harbor front location, Fairmont Pacific Rim is a contemporary interpretation of what historically made a Fairmont hotel stand out. 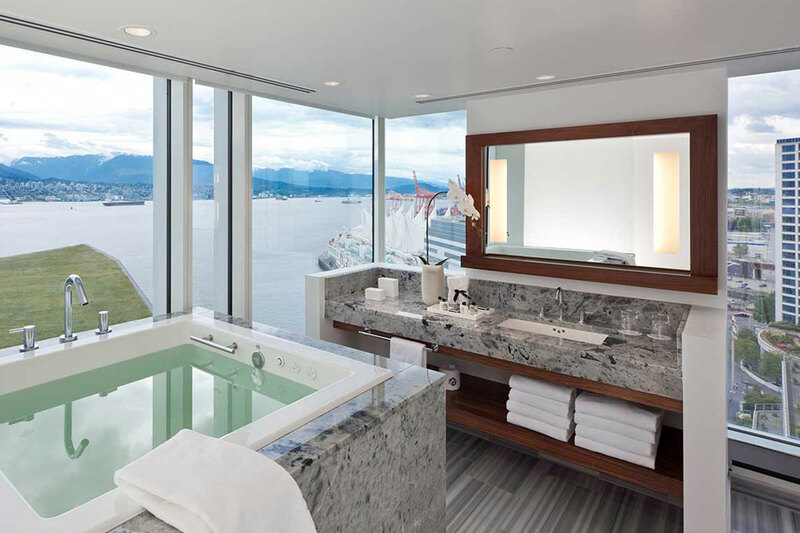 Named as tribute to Vancouver’s position as a doorway to the Far East, the hotel fuses elements of both Asian and North American Culture in to its design. While staying true to Fairmont legacy as a place of grand occasion, the hotel is destined to be an iconic hotel of its time. The hotel is a new build hotel and was completed on February 2010, so we have not gone through renewal projects. High quality in all areas including physical attributes of the hotel as well as well trained intuitive staff that offer luxury world class service. 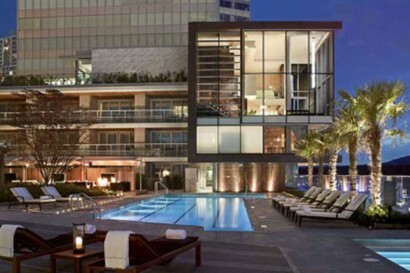 Fairmont Pacific Rim repeatedly welcomes world dignitaries, Fortune 100 CEOs and A-List celebrities. 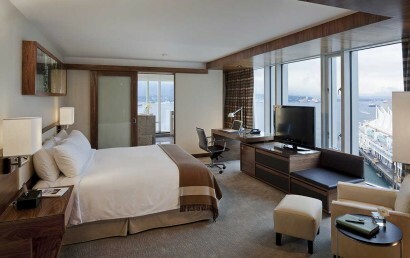 The hotel is in a prime location, situated on the water across the street from the cruise ship terminal, adjacent to the financial district and Coal Harbour. 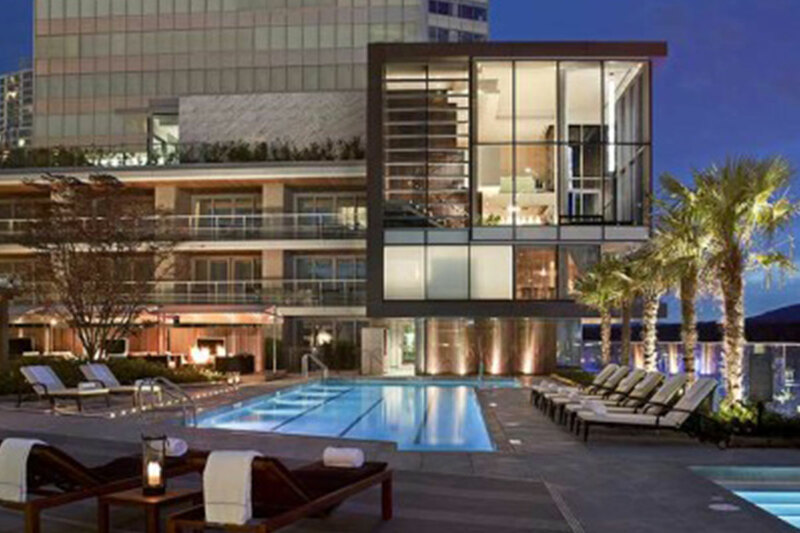 Ideally located near the city’s best shopping and celebrated restaurants. 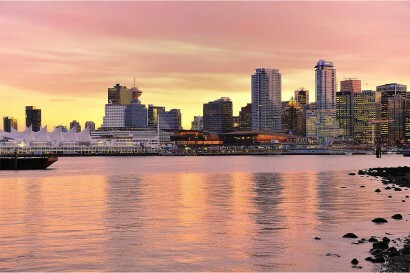 Vancouver has been named the top Destination in Canada. 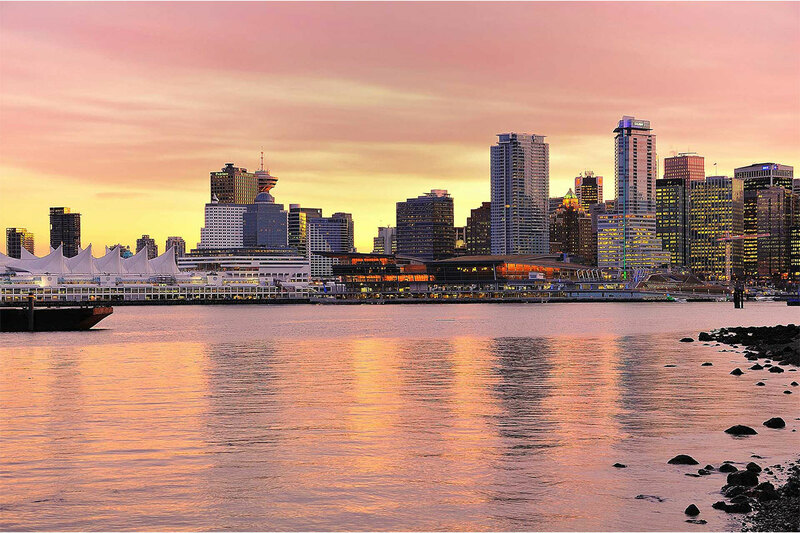 Visit the aquarium, take a city tour or stroll through Stanley Park, the city’s urban wilderness, or explore the surrounding area on a breathtaking drive. The market in giovane + cafe has a Candy Bar; a whole wall filled with nostalgia candies and house made truffles, toffees and Italian marshmallows. We extend food & beverage discounts, complimentary for children under 5 years of age and 50% off for children under 12 years of age. Fairmont Pacific Rim, designed to exceed five-star standards and services, offers luxury in downtown Vancouver accommodations. 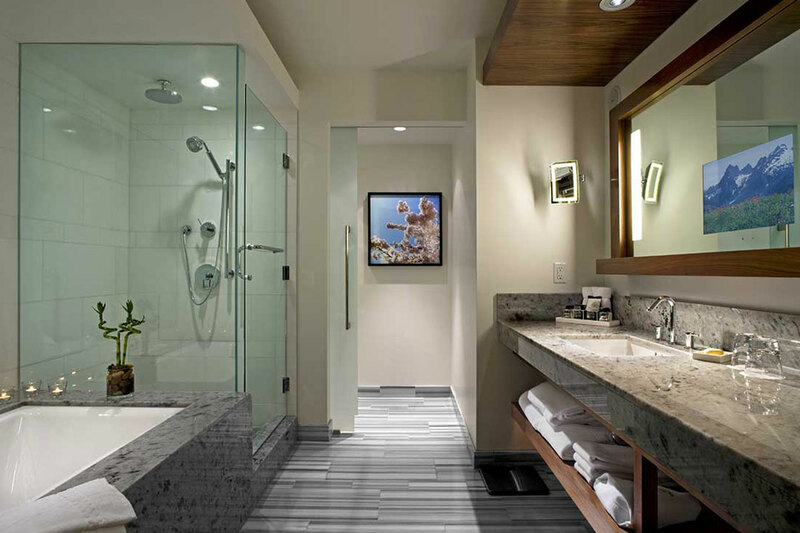 Featuring luxury linens, Stearns & Foster beds, spacious spa-like marble bathrooms with television-mirrors, a media connectivity panel, as well as wall-mounted 42″ LCD televisions with surround-sound. We are the first hotel in Canada to provide iPad2 devices with Interactive Customer Experience technology throughout all 377 guestrooms and. 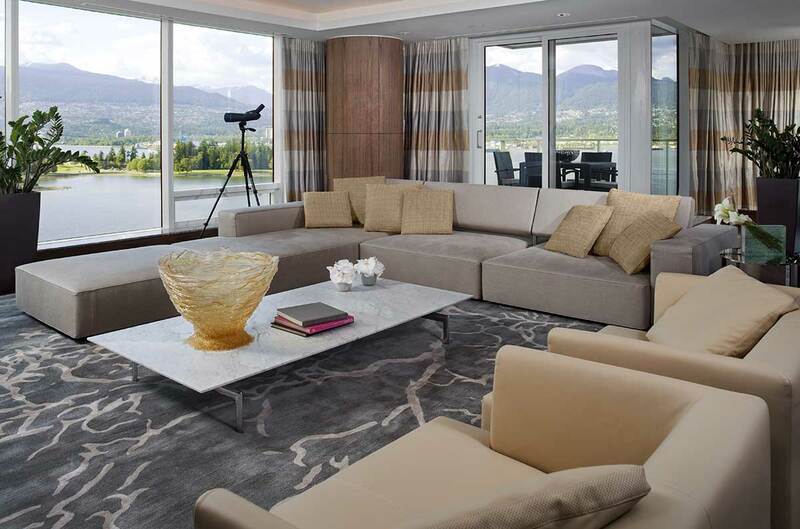 Spacious and elegant, over 70% of our rooms offer spectacular harbour and mountain views. The Hotel features a wide selection of luxury suites, offering private patios with outdoor fireplaces, sweeping views and spacious marble spa bathrooms with soaker tubs. 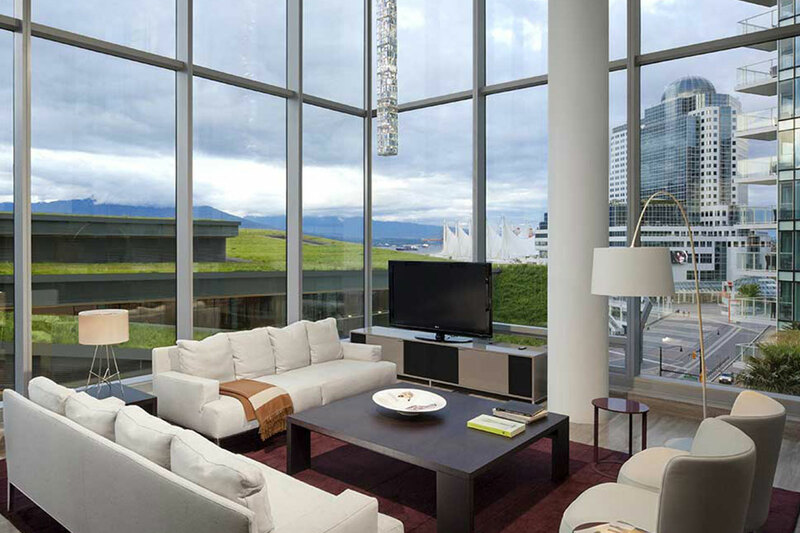 View our collection of specialty Vancouver suites. Fairmont Gold level offers guests a “hotel within a hotel,” featuring private check-in, concierge services, and complimentary breakfast, afternoon tea, and canapés during cocktail hour in the private lounge. Wireless internet access is offered in all guestrooms, a feature that is complimentary for our Fairmont President’s Club members. Open daily for breakfast, lunch & dinner, Fairmont Pacific Rim’s Main dining room, ORU restaurant is the perfect spot to savour food of the Pacific Northwest and flavours of the Pacific Rim. Open daily for breakfast, lunch & dinner, our Italian inspired Giovane Cafe offers a taste of Italy from morning to night. Enjoy housemade pastries, cakes, pasta’s, pizzas and more!. By night, the cafe transforms to an intimate candle lit winebar offering the best flavours and wine’s of Italy. Open daily from 11:00am, our Lobby Lounge offers a signature afternoon tea with an Asian twist. 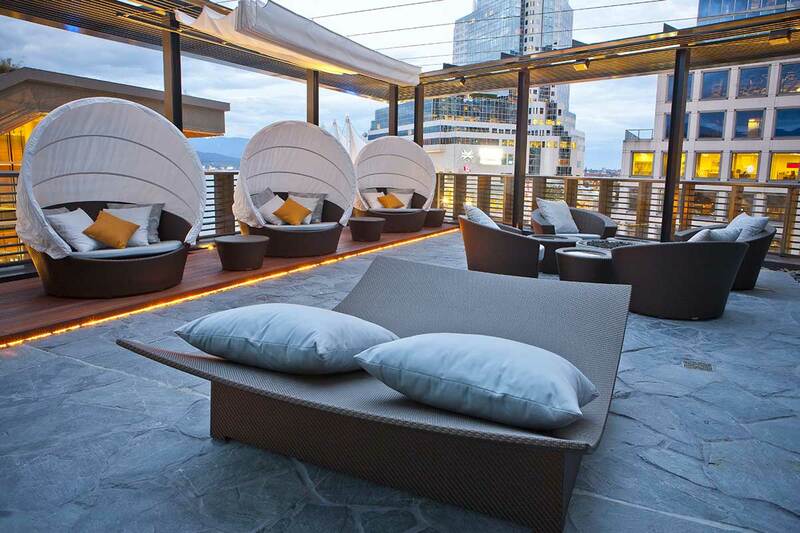 Enjoy nightly live music, hand crafted cocktails and Vancouver’s first 100% Ocean Wise Sushi RawBar. Available 24 hours, our In-Room Dining Menu offer’s tastes from ORU, giovane cafe + winebar & our Lobby Lounge RawBar. • Willowstream Spa: Surrounded in beautiful views, our spa offers nine treatment areas, including a couples’ room with deep Japanese Zen tubs, a Nail Spa, three lounges, and a beautiful spa terrace. 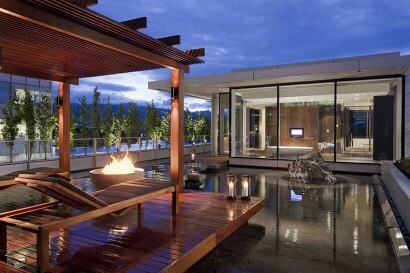 The treatments at Willow Stream Spa are authentically Canadian. 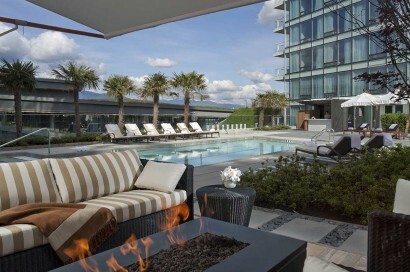 • Swimming Pool: Fairmont Pacific Rim features our 6th floor, roof top pool deck open year round. • Fitness: Open 24 hours and equipped with TechnoGym Excite equipment, we have a variety of ellipticals, treadmills, and bikes. We also offer yoga classes and personal training sessions. • BMW Bicycles: Fairmont Pacific Rim is pleased to offer complimentary BMW Bicycles available through our Guest Services Team. Enjoy endless bike routes and scenic tours throughout the city. Fairmont Pacific Rim offers two ballrooms, six boardrooms, a state-of-the-art theatre that seats up to 24. 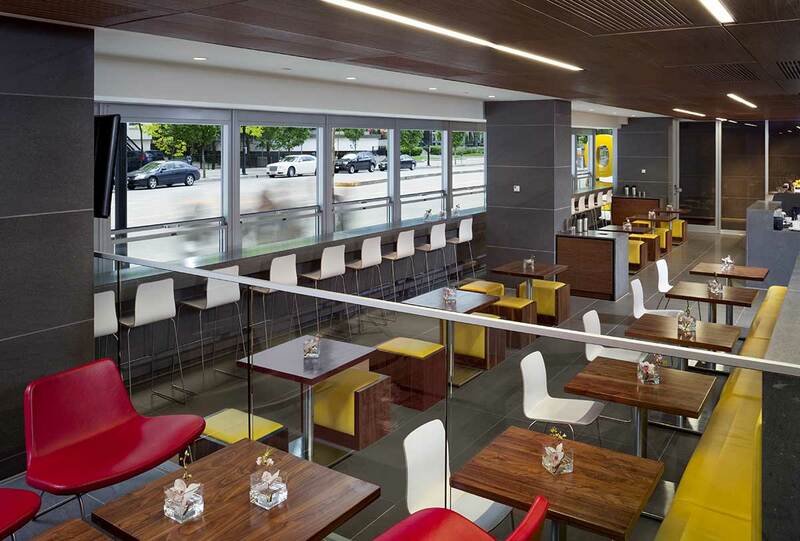 With a direct link to the Vancouver Convention Centre in the city, our Catering and Conference Services team looks forward to planning the perfect event. 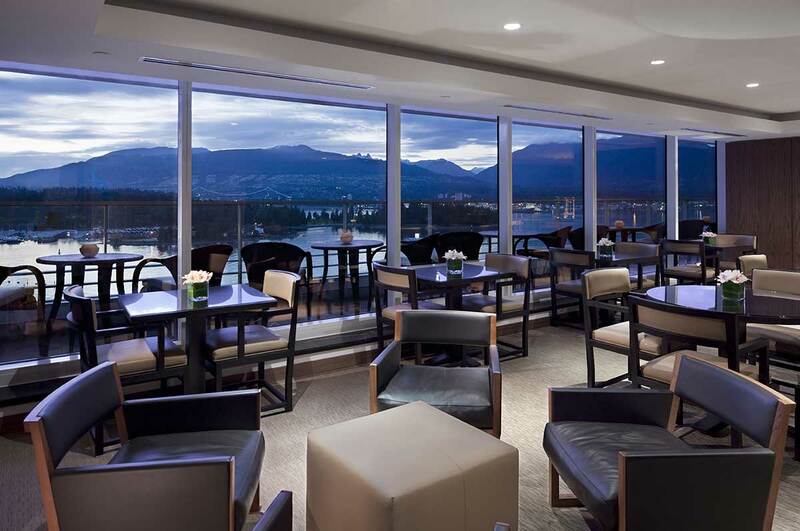 Fairmont Pacific Rim offers a variety of meeting venues that can accommodate events up to 800 guests. • Golf: There are many excellent courses within a 20 to 60 minute drive from the hotel. Please contact our Hotel Concierge to book your course today! • Skiing: There are three ski hills located within a 45-minute drive from the hotel. Cypress Mountain (cross-country and downhill), Grouse Mountain (downhill only) & Mount Syemour (cross-country and downhill). • Our WillowStream Spa offers a variety of Personal Training and Yoga sessions designed for you.